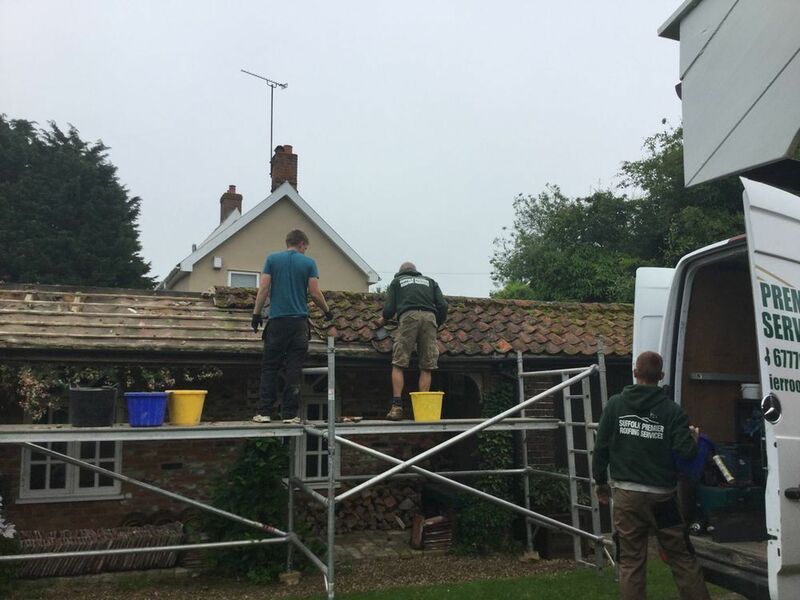 »Replace outbuilding suffolk pan tiles. Replace outbuilding suffolk pan tiles. The Beast from the East had struck at one of my outbuildings causing rain to enter under the pantiles through felt that birds had damaged. 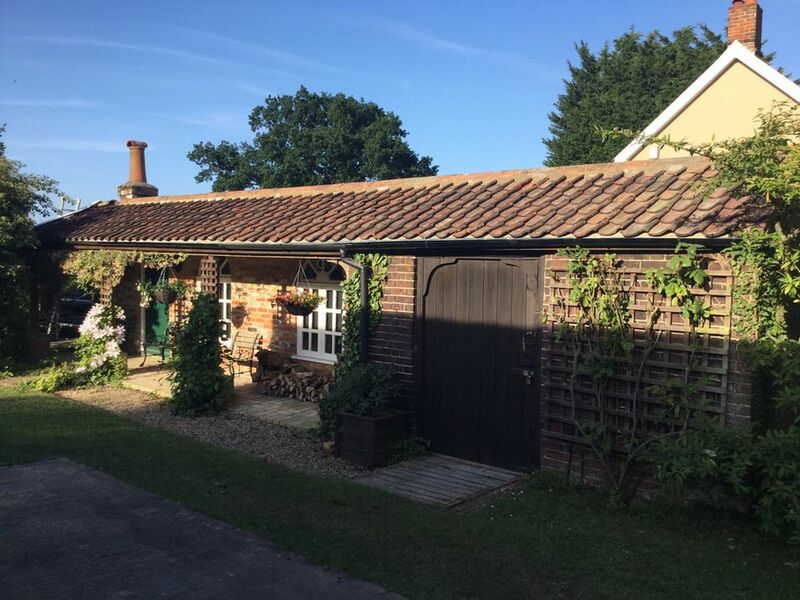 The outbuilding had originally been housing for chickens and I converted it into a hobby room with pot belly stove heating during the mid 90s. 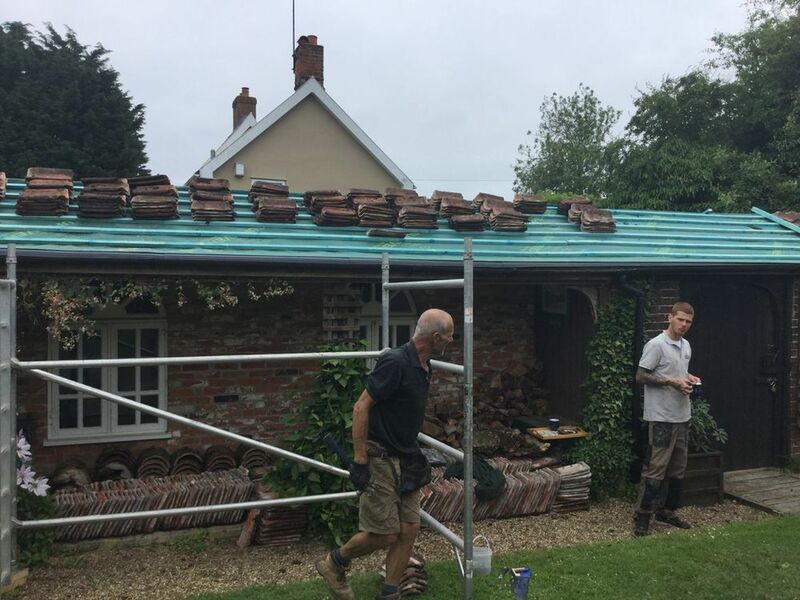 I posted an ad on My Builder site and Stuart came, had a look at it,recommended that his team stripped the pans,batterns and felt off replacing with good quality breathable felt,new batterns and putting the original tiles back. I accepted his quote and he gave a start date. He was true to his word. One of the best builders I have ever had. His team started on time, finished on time and left the site thoroughly clean. You could play snooker on those ridge tiles, perfectly straight! Looks like the job went very well - good timings and expert finish. Well done.